The areas Poitou-Charentes and Aquitaine, on France’s south-western coast, are among the most popular places to live for British expats, with each counting over 16,000 British among their residents. 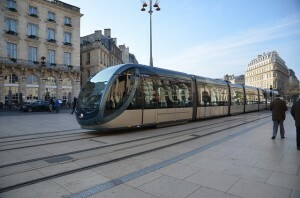 The area has certainly got a lot going for it – from its lengthy coastline and chic towns of La Rochelle and Biarritz, to the UNESCO World Heritage site of Bordeaux and its world-renowned wines, to the Pyrénées mountains in the south and glorious rolling landscapes inland. Let’s take a closer look at the region, and what kind of lives are people making for themselves there? Poitue-Charentes comprises four departments, Vienne and the Deux-Sèvres in the north, and Charente and Charente-Maritime in the south. Aquitaine is composed of five departments: Gironde, Landes and Pyrénées-Atlantiques on the coast, Dordogne and Lot-et-Garonne inland. Since 2016 these two regions, along with Limousin, have formed the new ‘super-region’ Nouvelle-Aquitaine, which geographically is even larger than Austria. 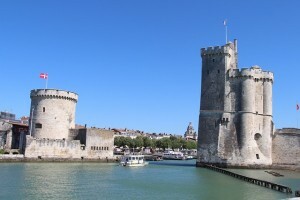 Part of the appeal of this area is the ease of access, with popular low budget carriers operating in Bordeaux, Bergerac and Biarritz in Aquitaine, La Rochelle and Poitiers in Poitou-Charentes. Poitou-Charentes is renowned for its year-round warm and sunny climate, its beautiful stretch of coast and excellent transport links. Much of its economy is geared towards tourism and agriculture. While both Charente and Charente-Maritimes have long been popular with expats, their quieter counterparts Vienne and Deux-Sèvres, with their rolling pastureland, woodland, hedges and stone walls, are now beginning to attract foreign residents. Aquitaine is a huge and diverse area which got its name from the Romans due to the abundance of water, or aqua, throughout the landscape. Add to that its 250km of Atlantic coastline with sandy beaches, thriving ports and harbours and it’s not hard to see why it’s so popular. 110km of Pyrenées mountains from the Basque country to Pau. The coastal Gironde department is the largest in France, and is popular with Parisians buying second homes, and so receives a lot of weekend visitors. Dubbed ‘the Paris of the southwest’, Bordeaux has undergone a major rejuvenation in recent years, and has become a foodie heaven, with many of France’s best chefs opening restaurants in the city. Les Landes is France’s second largest department, and its pine forest covers two thirds of the area and attracts those looking for an active outdoor life. The Pyrénées-Atlantiques, enjoying both mountains and coast, is said to be the most expensive department in Aquitaine. 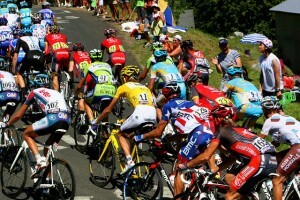 Popular towns such as Biarritz attract wealthy home-owners, while Pau, situated in the mountains, attracts those who want a more rural, traditional lifestyle. How to integrate as an expat? With the region itself being so varied, it’s little wonder that it has many varieties of architectural style. Unique to the region are Maisons Charentaises, traditional houses that are large and symmetrical, with a cellar and a garden. They are built from wood and stone, and many still have their original stone fireplaces. Bastide farmhouses are typical in the region, usually fortified with courtyards and outbuildings. They are said to be popular with expats as they are older and filled with character. Colombage houses are half-timbered mostly found in the towns of Niort, Parthenay and Cognac. Many have been sympathetically renovated, retaining their original features. Oustau houses can be found in Les Landes, and are usually half-timbered properties built so that the back of the house faces the incoming winds from the Atlantic. Rétaise houses are found on the Ile de Ré and are stone-built with a traditional French look, complete with painted shutters, white exteriors and exposed stone interior walls. Maisons Basques are built in the style of a rectangular villa and usually coloured red and white. Older versions are made from timber while more recent examples are built from stone. Chateaux are a feature of the area, although they are not necessarily castles but rather large farmhouses which were fortified with added features such as turrets. Maisons de Notable and Maisons de Maître usually come with a great deal of land and a number of outbuildings. Longère houses are one storey houses that are long and rectangular. 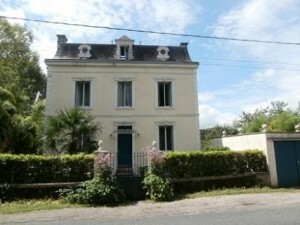 They usually have outbuildings and large gardens and are a traditional housing style that can be seen all over France.